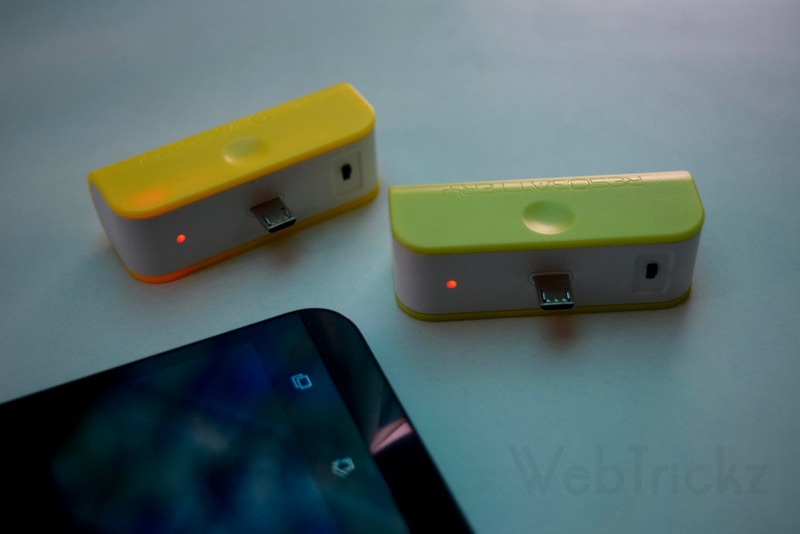 The use of Powerbanks has extremely increased over time specially among Android smartphone users who often find the need to charge their phone to keep it running up, while on the go, anytime and anywhere! 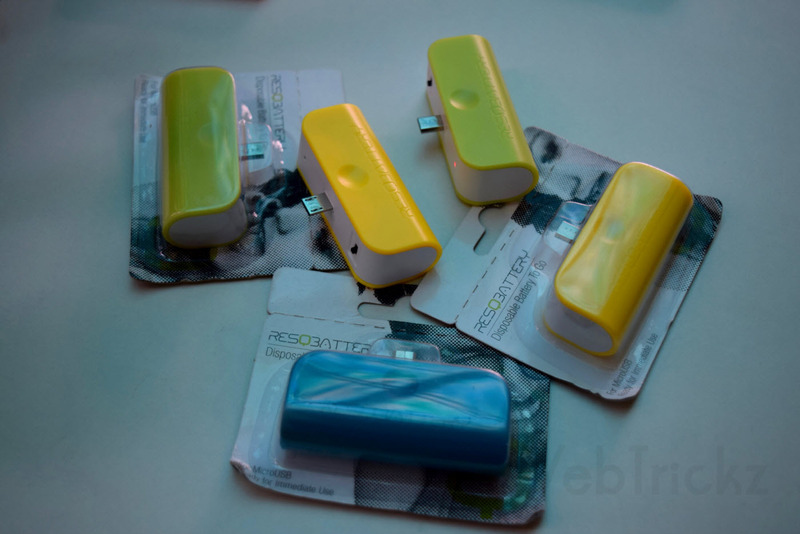 Powerbanks indeed come handy and offer a convenient way to power up a device running out of battery but they need to recharged prior to usage and some of them are bulky to carry around. Today, we’ll be sharing a kinda unique product that does a similar task but in an unusual way. Meet ResQBattery, a product by Nofet LLC. 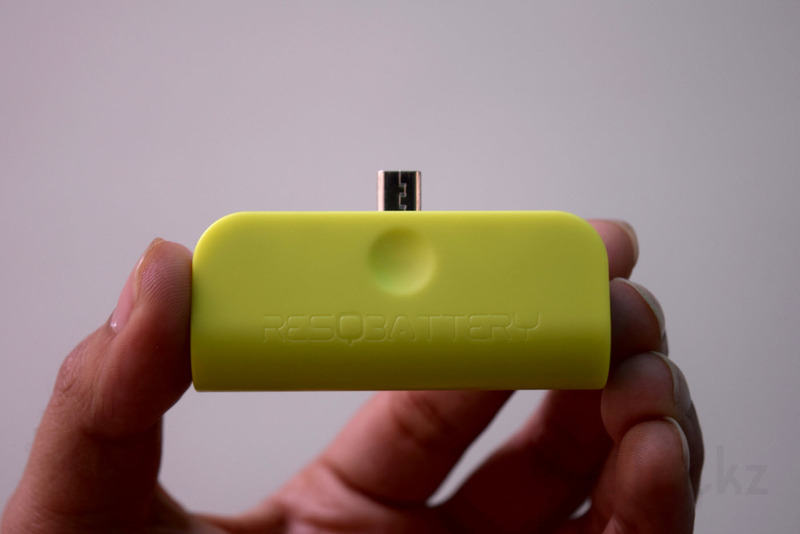 ResQBattery is a pocket-sized disposable battery with a microUSB interface that plugs directly into mobile devices, thereby offering some charge to extend the battery life for up to five hours. This thumb-sized charger can come handy in emergency situations to jump-start a discharged smartphone battery while you’re out on camping or stuck half-way during electricity outage. resQbattery with a 1300mAh battery capacity, is made from eco-­friendly materials, and is completely safe to use. The USP lies in the comfort of using it – just switch it on and plug in. BOOM, it will start charging your phone right away! 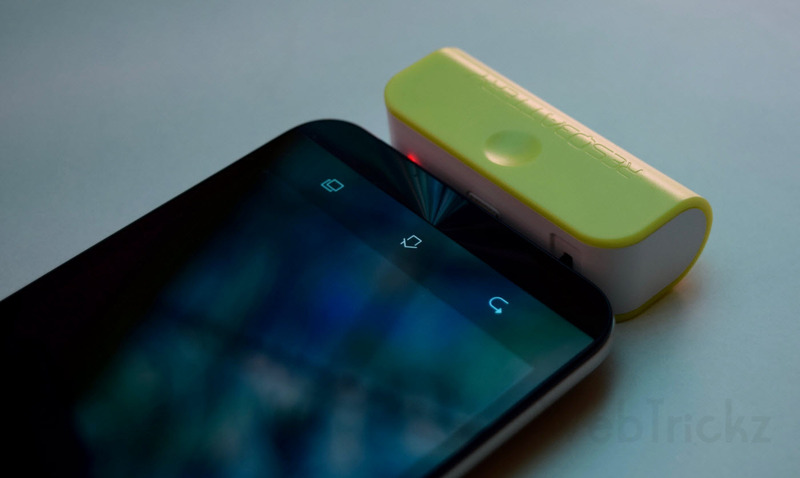 The ResQBattery is a compact, lightweight and a cool looking portable charger. It sports a premium and solid build that feels really nice to hold. We’re pretty surprised as we didn’t expected the build to be so impressive considering it’s a single use emergency phone charger that is literally dead after running out of battery juice. A nice little on/off switch sits over it to start or stop charging and a LED indicator is there to notify while the charger is in use. 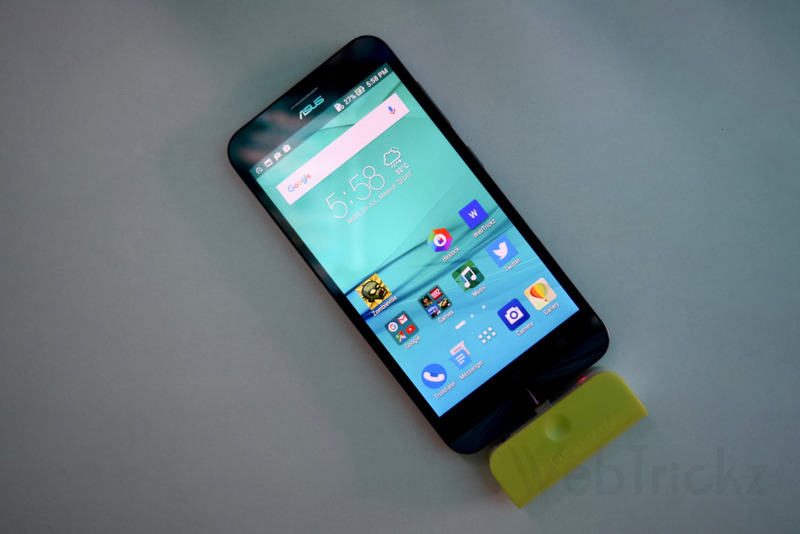 The microUSB pin is bit long in length, probably to let it use easily on phones fitted with a protective case. The either side of the charger boast a sweet dimple in center that helps to easily plug in and plug it out. Comes in over 10 eye-candy colors such as Green, Yellow, Blue, Red, Pink, etc. The charger couldn’t charge the the phone any further after charging its battery by upto 14%. As you can calculate, it took around 2hrs 10m to charge 14% of the battery which isn’t too bad and not great either. The company claims that the charge can serve a talktime of upto 5 hours which we feel is somewhat true unless you use the device intensely which one obviously won’t do in emergency situations. 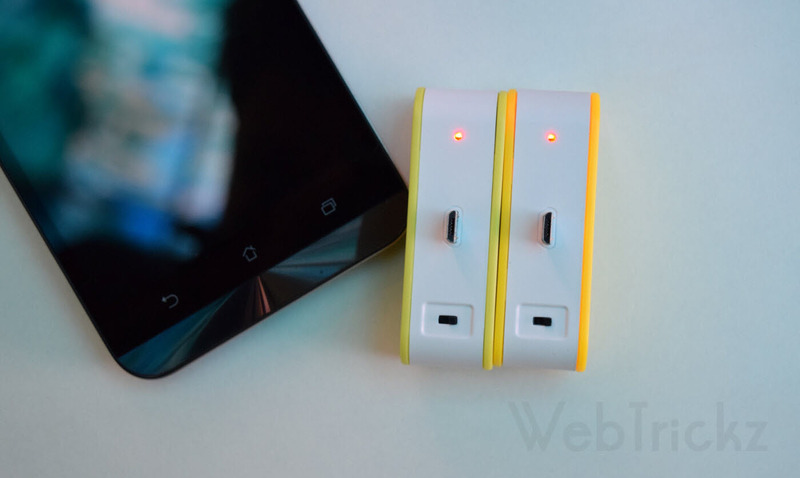 The product can be used multiple times till its battery drains out. We noticed the Led light tends to lit up even after it’s discharged which shows that some charge is still left but that isn’t sufficient to charge the phone. For those concerned, ResQBattery is approved by FCC and CE. At first instance, the question arises why one would consider buying a charger that’s meant for one time use only. But one shouldn’t confuse it with a powerbank as ResQBattery is a disposable gadget ready for immediate use that can come to rescue in real-life emergency situations when one feels helpless. The product is easy to carry along and works pretty good but it’d have been better if it offered a good charging speed and higher capacity battery. What’s impressive is its 5 years shelf life as one can carry it along during an unplanned adventurous trip. After it’s dead, the cute little thing can flaunt as a show piece on your desk. We’re told that the next version will have a capacity of at least 1800mAh which sounds promising. Pricing – A set of two ResQBattery is being currently sold on Amazon, eBay and eBags for $11.99 with free shipping. Why spend $11 on 2 of these when at Walmart you can buy one \”Tzumi Pocket Juice Portable Charger\” for $4.88. Its 2000mAH, not 1300mAH like this product. Its also RECHARGEABLE. The size is about 50% bigger, still small. This product and article is not worth a lot. I would rather purchase power bank. Be that as it may, these are extravagant force tablets ?